General RV Rental is not associated with RVshare. 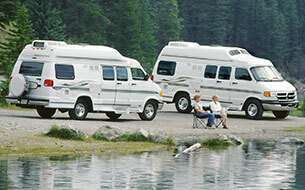 This page is simply a resource, providing more information on all RV rental options, including General RV Rental. RVing is one of the great American pastimes. The concept of the road trip started back in 1903, when two men and a dog drove across country to win a $50 bet! At the time, there were only 150 miles of paved roads in the United States. Seven years later, in 1910, the RV was invented. Since then, the “American driving vacation” has changed quite a bit. Now, people are traveling much more comfortably. The RV industry is seeing a bit of a renaissance. In fact, the number of new RV shipments this year is expected to be the highest it has been since 1977. 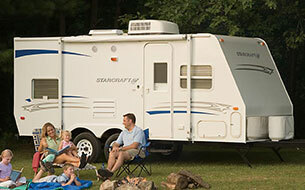 Perhaps one reason for the industry’s growth is RV rentals. 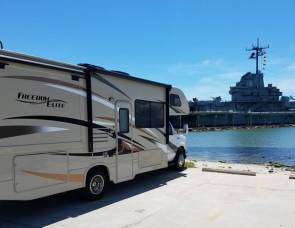 You no longer have to spend hundreds of thousands on an RV if you want to go on vacation – just rent one from a local service! General RV got its start as a small gas station in Detroit, Michigan in 1953. The first trailer location opened in 1962. Over the next ten years, the company expanded and opened new locations throughout Michigan. Today, they have 11 locations throughout the United States. 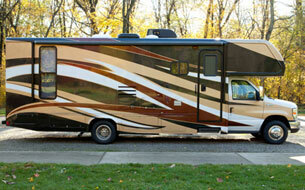 While the company primarily specializes in sales, several locations also offer RV rentals. Two styles of 22’ Class C’s; a Minnie Winnie and a Thor Four Winds. Both sleep up to six people. One 28’ Class C; a Thor Four Winds. 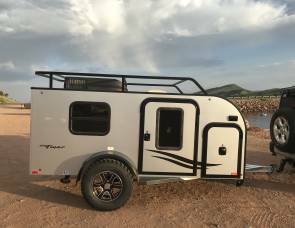 Sleeps up to eight people. Two 31’ Class C’s; both are Minnie Winnie’s with differing floor plans. They can accommodate eight to ten people. Two 32’ Class A’s; a Winnebago Vista and a Fleetwood Storm. They can sleep between four to ten people. A compact 19’ pop-up trailer, which can sleep up to six people. Actual models may vary by location, but General RV promises always to have the most current model year. Their entire inventory is under warranty. The company also offers a 24-hour roadside assistance hotline in case you have trouble on the road. The main differences between Class A’s and Class C’s are the layout and driving style. Class A’s are bus-style RVs, usually with a bed in the back and several convertible sleeping areas up front. They tend to have larger living rooms. Class C’s have a bed in the back and one above the cab, meaning you’ll have a more compact living area. You should try to get the smallest RV you can handle, especially if you’ve never driven an RV before. The smaller the RV, the less money it will cost, and the easier it will be to drive. Likewise, if you’re concerned about driving an RV, you might want to go with a Class C. Since they’re built on truck chassis’, it’s like driving a big truck or SUV. Check out the floorplans and see what works best for your family. If you like having privacy, you’ll want a layout where the sleeping areas are far apart. How do you feel about slideouts? 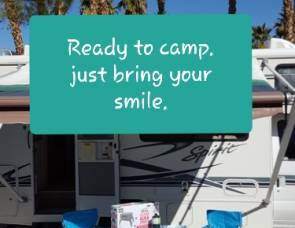 While they’re great for opening up some extra space, they can be a bit tedious to set up at campgrounds. If it’s your first time renting, you may want to look for something without slides. Lastly, think about how much time you’ll be spending in the RV versus outside. 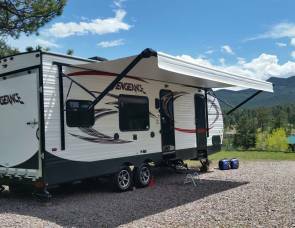 If you plan on staying at campgrounds and spending a lot of time cooking and relaxing in the RV, you might want something a little more spacious. On the other hand, if you’ll be out exploring most of the time, you can get away with a smaller rig. General RV is a small chain of RV rental depots with locations throughout the midwest. 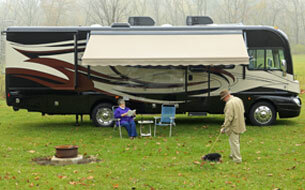 They have a decent selection of RV classes and claim to offer only the most current models. Ratings for the company are either excellent or poor. They seem to vary widely depending on the location and even who happened to be working that day. Why not check out their service yourself? You can contact the rental locations at the numbers listed above.